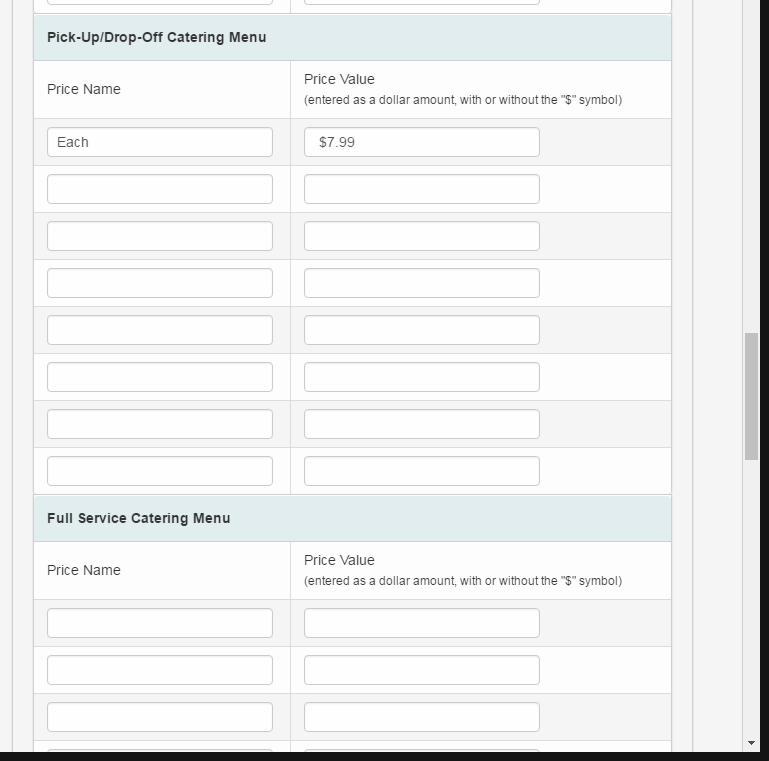 In this article we will go over how to change information for a Menu Item. For example: Price, Description, Minimum Prep Notice, Taxable and etc. 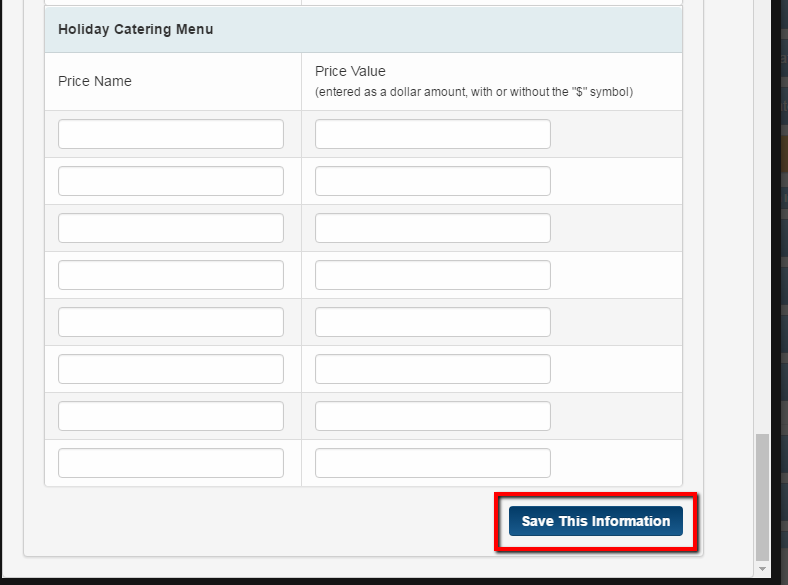 Please note this article is not going to show you how to create a new menu item. 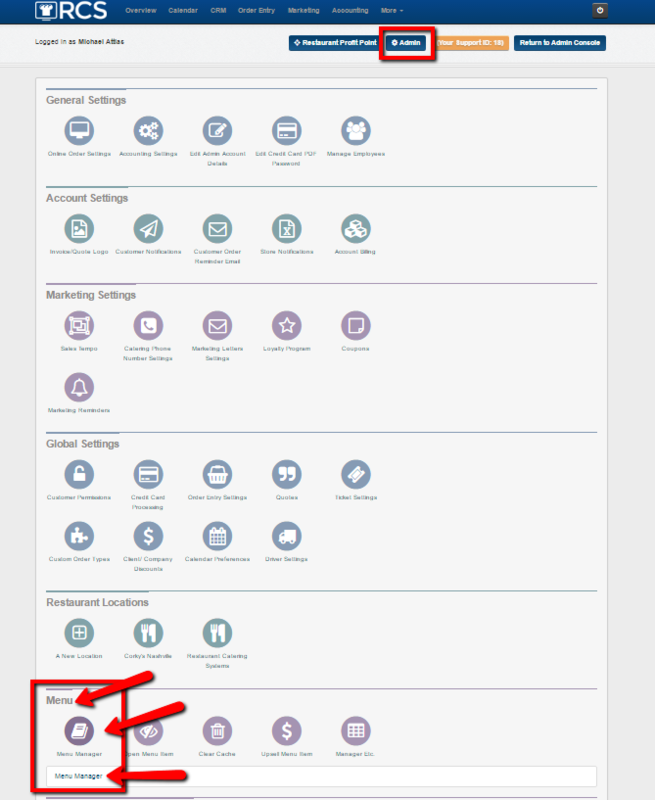 There is a separate article on how to create a new menu item. 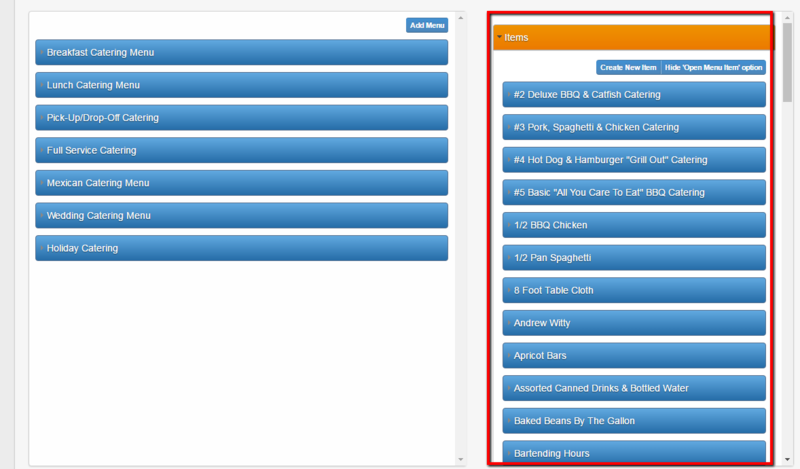 4 - Next you will look for the menu item you want to adjust the information for. 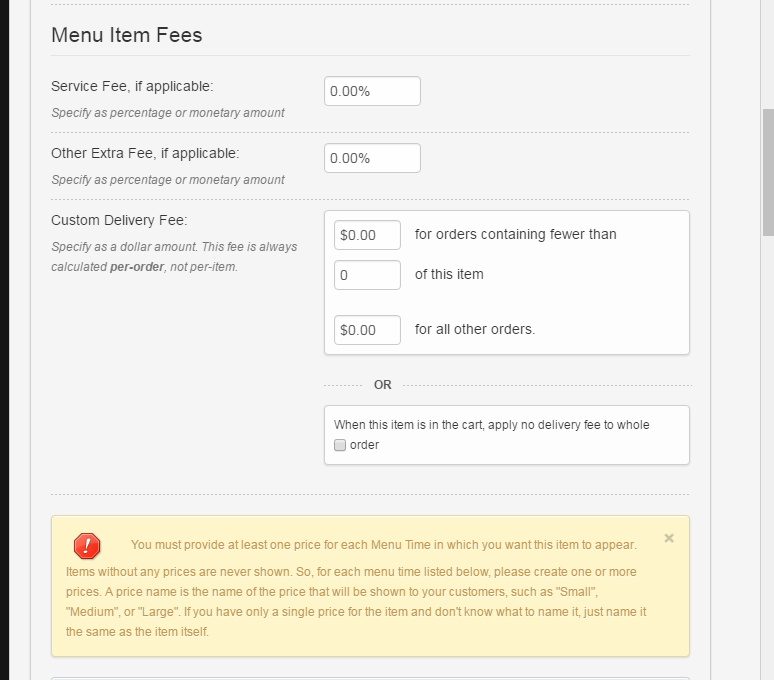 Click on the Menu Item name. Menu Items are listed in alphabetical order. 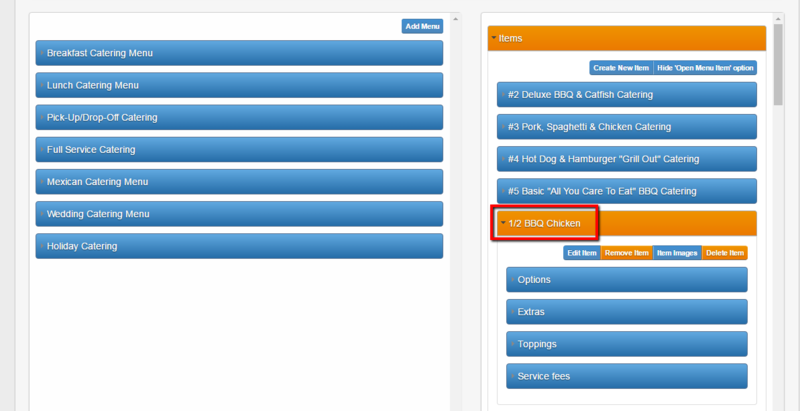 5 - Once you click on the Menu Item name click on the Edit Item tab. 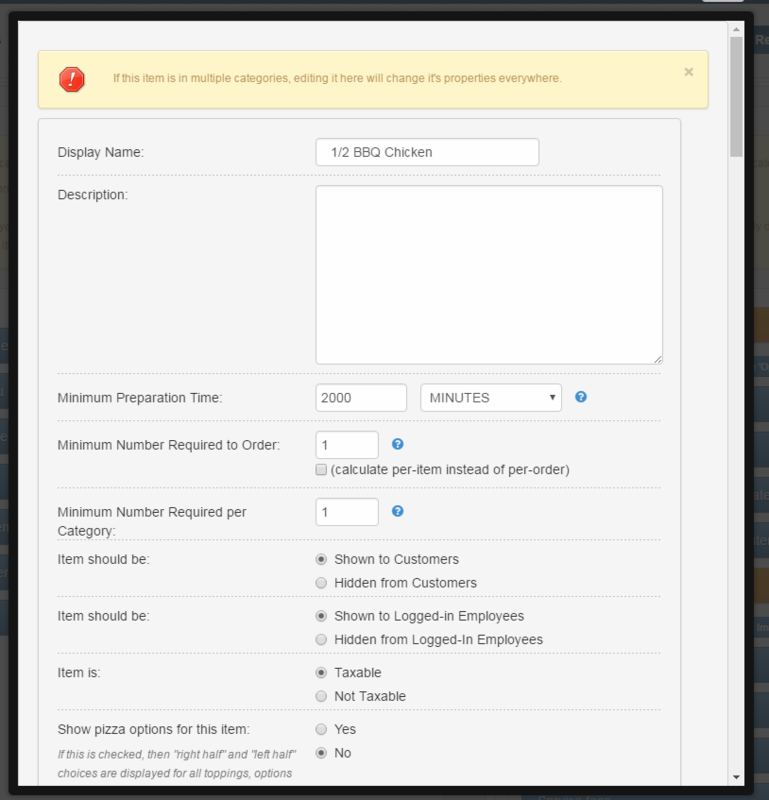 6 - A pop up box will appear with the information created for the menu item. You can make any necessary changes. 7 - Don't forget to Save once changes have been made. You have now changed information found for a Menu Item.